Among foreign investors, interest in New York has slipped and London has assumed first place as the top global city for their real estate investments, according to the results of a new survey of members of the Association of Foreign Investors in Real Estate (AFIRE) released today. In last year’s survey, London ranked third globally; Los Angeles ranked second among U.S. cities and fourth globally. Rounding out AFIRE members’ list of top five global cities, in order, are: New York, Berlin, Los Angeles and Frankfurt. San Francisco, which has been on investors’ top five global cities list since 2011, fell into 11th place, and Washington, DC continued its slide among global cities, falling from 15th place last year to 25th this year. Nonetheless, by a substantial margin, the U.S. was ranked as the number one country for planned real estate investment in 2018 followed by the U.K., Germany, Canada, and France. Survey respondents cited the U.S. market’s stable economy, transparent capital markets, and reputation for innovation as the primary factors favoring investment. They pointed to senior housing, infrastructure, medical office buildings and student housing as options for alternative asset classes. And for the first time, Los Angeles has tied New York as the number one city in the U.S., boosted by its position as a leading global port. New York had been named the top U.S. city for the last seven years, holding a substantial lead over Los Angeles. As recently as 2014 Los Angeles was in fifth place among U.S. cities before moving up to second place in 2016. The remaining top five U.S. cities, in order, are: Seattle, Washington DC, and San Francisco. Seattle moved up from fourth place and Washington rejoined the list after falling off into sixth place last year. In 2010, industrial real estate was lowest-ranked among leading property types. 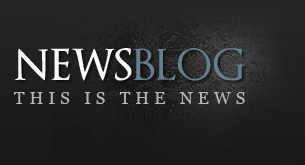 This year, and every year since 2013 it has ranked first, except for 2014, when it was second-ranked. Meanwhile, retail property fell into fifth place; multifamily and office remained in second and third places respectively, and hotels, long in fifth place, moved into fourth. With 58% of respondents’ votes, the U.S. remains the country considered the most stable for real estate investment. Germany again took second place with 20% of the votes, and Canada remained in third place with 12%. The U.K. moved into fourth from fifth, while Australia fell from fourth to fifth. Eighty-six percent of respondents say they plan to maintain or increase their investment in U.S. real estate in 2018. The survey also ranked the U.S. as offering the best opportunity for capital appreciation, followed by Brazil, remaining in second place. China and Spain both moved up from a sixth-place tie last year, taking third and fourth places respectively. The UK fell from third to fifth place. At the same time, members are cautious, expressing concerns about where the industry is in the typical real estate cycle. They cited concerns about interest rate risks, high valuations, the impact of emerging technologies on retail and other property sectors, oversupply in some markets and property types, and possible economic and political missteps which could affect real estate by triggering an economic slowdown or disruption in the financial markets. 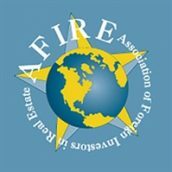 AFIRE members are among the largest international institutional real estate investors in the world and have an estimated $2 trillion or more in real estate assets under management globally. The 26th annual survey was conducted in the fourth quarter of 2017 by the James A. Graaskamp Center for Real Estate, Wisconsin School of Business.